Contact us 24 hours a day from anywhere around the world for amazing deals on private jet charters in Vero Beach, FL, USA. We arrange private charter flights to/from Vero Beach with services available around the clock. Our aviation services extend across the United States and around the world, with free quotes with no commitment to book, competitive hourly rates on aircraft rentals, and all-inclusive contracts with no hidden fees. We also hold ourselves to some of the highest safety standards in private aviation. Call +1-888-987-JETS (5387) for pricing and availability on Vero Beach private jet charter flights. Palm Beach Jet Charter utilizes the following airports to fly clients privately to/from Vero Beach, Florida and neighboring areas. Vero Beach was a small and seldom traveled seaside town until recent years. The past few years, however, have brought a tourism boom to this sequestered Florida getaway. Strangely enough, celebrities are starting to visit the city. While not coming in droves, Vero has gained a fair bit of notoriety due to its prestigious guests. Whether they’re visiting for a bit of rest and recovery or some seaside cottage window shopping, they’re doing the city a great service. With its notoriety affirmed, more and more of America’s wealthiest people are choosing to purchase property there. You may not be a celebrity, but the city is ready for any would be investors or people interested in purchasing property there. And, of course, the best way to get to the city is via luxury private jet. No longer a stranger to private jet travelers, Vero Beach is more than ready to receive you with one of its several conveniently located airports. Our Vero Beach Jet Charter representatives are available 24 hours a day and 7 days a week to ensure that your needs are met exactly when they need to be. Whether it’s a multi-leg private flight with in-flight catering or luxury ground transportation and a private helicopter lift, our jet charter brokers can arrange it all. Request a quote or give a call to book your private flight to Vero Beach, Florida. Private jet travelers in Vero Beach will find that the city centers around the sea, and the people here respect silence, privacy, and the right to relaxation. Vero is very quickly becoming a major destination for retirees from all over the North American continent. The nightlife consists of seafood restaurants and oyster bars, and the lodgings options range from seaside cottages to oceanfront hotels. Many of these hotels cater to families taking a relaxing vacation, while the various bed and breakfasts house throngs of couples coming for their honeymoons or people bringing their significant others somewhere special to “pop the question”. Of the different options, one of the most popular is the chic and sophisticated Costa d’Este Beach Resort & Spa. This oceanfront beach resort is perfect for private jet travelers regardless of their reason for visiting Vero. Owned by the iconic Cuban-American singer, Gloria Estefan, it’s safe to assume that this carefully curated resort is perfectly designed for luxurious comfort and maximum relaxation. Limestone bathrooms, Egyptian cotton bedding, private beachfront gardens, an infinity pool with poolside bar, and a full service spa, make it Vero Beach’s premier luxury resort destination. Tie in the in-house Cuban fusion restaurant with its gourmet dining options and enticing menu, and visiting private jet travelers need not even leave the grounds so that they can remain sequestered in paradise for the duration of their trip. While the Costa d’Este Beach Resort & Spa is considered the premier lodging option in the area, there are plenty of other options that rival its standards. The options may cater to more specific clientele, perhaps to the yachting community, or visiting golfers. Whatever your reasons for visiting Vero, there will be several hotels that cater directly to you. This can make it a bit difficult to choose just one, so Palm Beach Jet Charter has compiled a list of the absolute best lodging options in and around Vero for private jet travelers. Based on Vero Beach Jet Charter client feedback, online reviews, amenities offered, and location, our list is sure to have something on it that tickles your fancy; keep reading to check it out. Vero Beach is full of fun and interesting attractions that are well suited to private jet travelers. Most of these include nature and outdoorsy options, and several interesting and well-curated museums worth visiting. Many art venues display the works of local artists in inventive and meticulously designed galleries. Now, while this city is well-known for its artsy and outdoorsy activities, it doesn’t mean that there is no nightlife. Vero has several different districts that will show a very different side of this eclectic seaside town, and one of the most popular is the downtown. Full of gourmet restaurants, chic oceanfront bars, and oyster bars where you can dock your boat, this district caters mostly to the affluent travelers that frequent this seaside town. Spend an evening with your significant other at the Amalfi Grille. This gourmet restaurant has it all, offering delicious Italian, seafood, and steak house options to its discerning customers. If you’re hoping for a more specialized experience, than look no further than the Tides Restaurant. Offering mostly seafood entrees and appetizers, you won’t find fresher ingredients anywhere else in the area. Are you looking for a sophisticated way to continue your evening while enjoying a few drinks? Then head over to Havana Nights Piano Bar for delicious and carefully prepared cocktails set to a quiet, comfortable, and elegant atmosphere. These options are just a few places to go for a night on the town, but the city really shines during the day time, when the beach is the prettiest and the nature preserves are the most alive. Spend a morning at the McKee Botanical Garden off of US1. This popular destination has various displays that exist to promote the conservation and appreciation of Florida’s gorgeous and charming natural wild flora. Trees, waterfalls, and historic structures pepper this carefully curated location, while interesting and captivating exhibits keep customers in a state of relaxed curiosity throughout their visit. 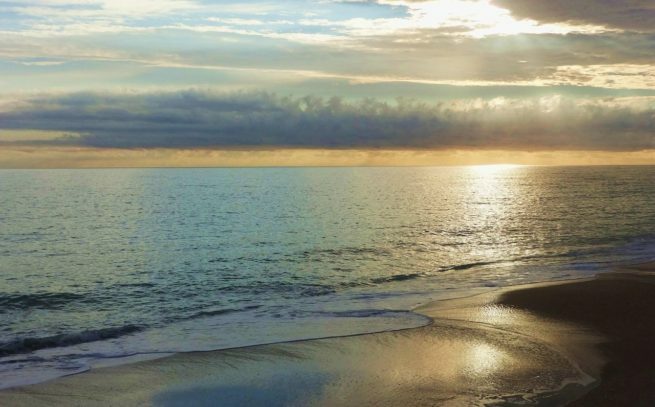 Whether you’re interested in the nightlife, the outdoors, or a bit of both, Vero Beach has plenty in store for you. So charter a private flight to this charming Florida town, and keep reading if you’d like to see even more interesting attractions throughout the area. Request a Quote or give us a call at 1-888-987-5387 to speak with one of our Vero Beach Private Jet Charter agents for your next luxury vacation, business trip, or special event.